Nothing pulls together the look and feel of traditional bedroom decor like this exquisite dresser mirror. 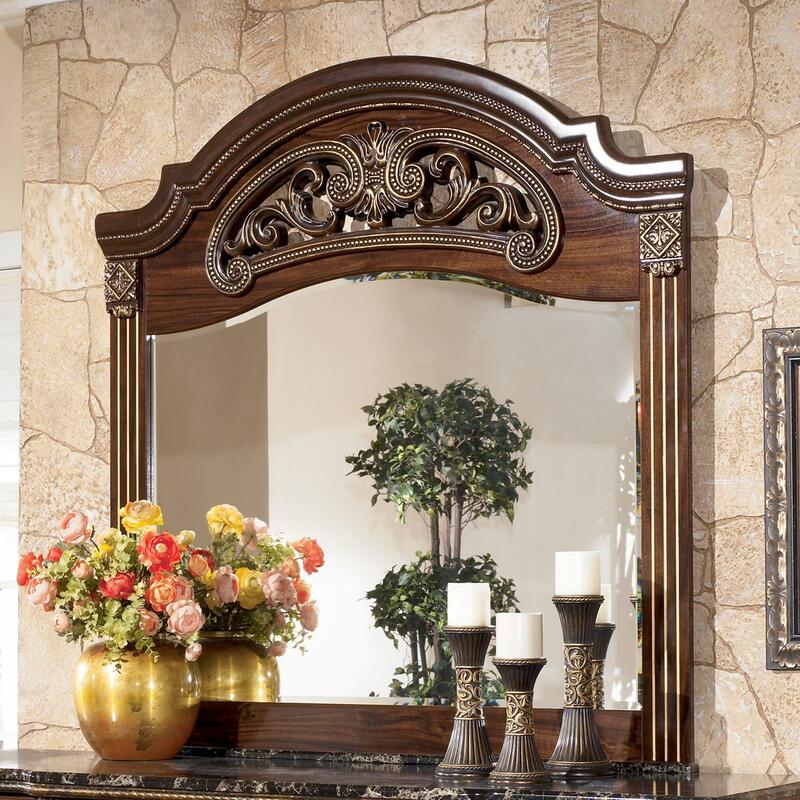 Beautifully carved moldings with gilded bead detail crown the delicately arched top of the mirror. 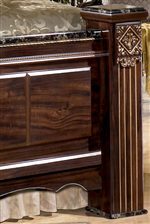 A mirrored insert with beveled edge echoes the graceful curve of the wood surround and casts its light across any space. Pair with the coordinating nine drawer dresser for a refined and balanced bedroom. 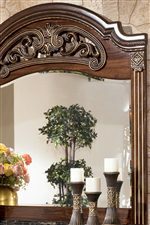 The Gabriela Dresser Mirror with Carved Detail by Signature Design by Ashley at Miskelly Furniture in the Jackson, Pearl, Madison, Ridgeland, Flowood Mississippi area. Product availability may vary. Contact us for the most current availability on this product. Special Order Lead Time Two to 10 Weeks. 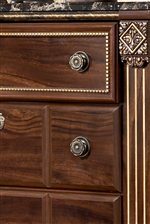 The Gabriela collection is a great option if you are looking for Traditional furniture in the Jackson, Pearl, Madison, Ridgeland, Flowood Mississippi area. 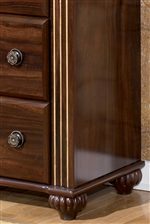 Browse other items in the Gabriela collection from Miskelly Furniture in the Jackson, Pearl, Madison, Ridgeland, Flowood Mississippi area.